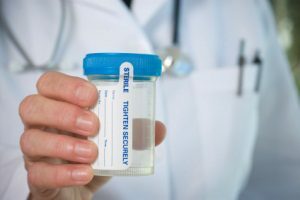 People in recovery from substance use disorders who have had repeated relapses can benefit from being monitored for at least five years after treatment, according to a former head of the National Institute on Drug Abuse. He described the model for such care, called the New Paradigm for Recovery, at a recent meeting of the CORE (Clinical Overview of the Recovery Experience) conference. The New Paradigm is not a new treatment program. It is a system of long-term care management for substance use disorders that enhances and extends the benefits of all treatment programs. The model for the New Paradigm is the Physician Health Program (PHP), which helps addicted doctors get the drug, alcohol and mental health treatment they need to keep their licenses and return to practice. If a doctor in the program uses alcohol or drugs even once, the consequences are swift and serious. They are pulled out of practice, evaluated, and if they are told they need residential treatment they must comply, or risk losing their licenses. New Paradigm programs treat addiction as a chronic illness. Just as blood sugar is monitored in a person with diabetes or blood pressure is measured for a person with hypertension, drug testing should be regularly conducted, eventually and ideally as part of routine medical care for patients in recovery from a drug or alcohol disorder, DuPont says. Two differences however, he notes, are the random nature of the drug testing, and the swift and certain consequences of a positive test result. Some private addiction treatment programs, as well as independent monitoring services, use the New Paradigm. Several criminal justice system programs, including drug courts, also use the model. The New Paradigm can be especially useful in this setting, he observed. “In the criminal justice system today, a person on probation is tested on scheduled visits (not randomly) and they commonly have eight, 10 or even 15 substance abuse violations before being sent to prison often for long periods of time. That system of delayed, uncertain and draconian punishment does not work in anyone’s interests,” he says. The New Paradigm begins with a signed mutual agreement between the person and the supervising entity (such as the family, an employer, or legal authority) to abstain from alcohol and drugs, and spells out the consequences of a failed drug or alcohol test. A successful program makes the consequence subject to the signed agreement, DuPont notes. “For example, teens who fail drug tests could have their driving privileges revoked.” Employing such a system of a signed agreement enforced by frequent random testing makes it practical for families, employers, probation and others to support recovery far more effectively, he says. The program strongly encourages, and usually requires, participants actively to engage in community-based support meetings, such as AA or NA. I am a person in long term recovery and I do not agree with Debra. First off, there is more than one way to get and STAY sober, but I will not get into all of that. Secondly, meetings are a wonderful additive, but the true PROGRAM of AA (and NA) is in the 12 steps. If you don’t work (and then LIVE) the steps in your daily life, you will not find peace (or be able to handle it when sh*t really hits the fan, its 3am, and there are no meetings to run to). A person in recovery has got to know how to deal with life outside of the rooms if they want to know the true freedom that comes from being sober. Also, having a higher power is a really good way to remain sober and sane. I have seen too much reliance on other humans by people who depend on meetings to keep them sober. It says right in the AA Big Book, “No human power could have relieved us of our alcoholism.” The minute we start relying on meetings to keep us sober, we are in real trouble. This is a plan that is working. Recovery plans with no real long term are a step back into addiction.